The Barrow Yacht Club was established in 1870 under the patronage of the Duke of Devonshire, the Duke of Buccleuch and James Ramsden. The club met in the old Railway Goods Office on the pier where the members installed a billiard table and news room. The entrance fee was 1 guinea with a yearly subscription of 1 guinea. 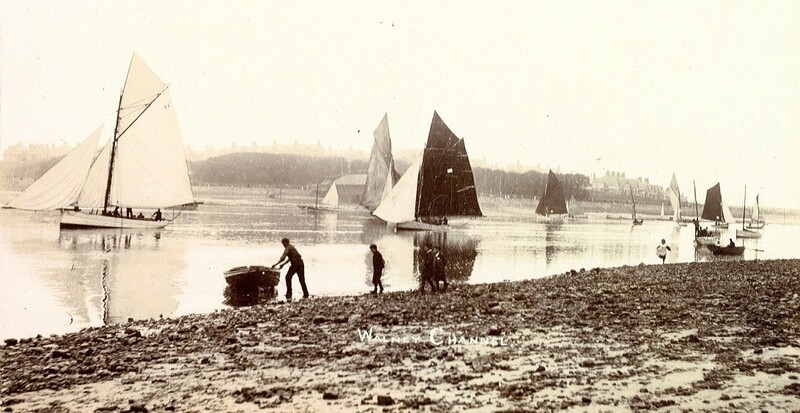 The first regatta was held at the end of June 1871 between the Mersey Regatta and the Clyde Competition. 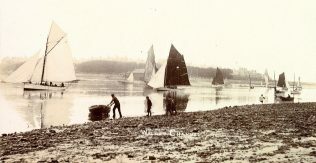 The first match was a race from Mersey to Piel with a prize of £50 given by James Ramsden. 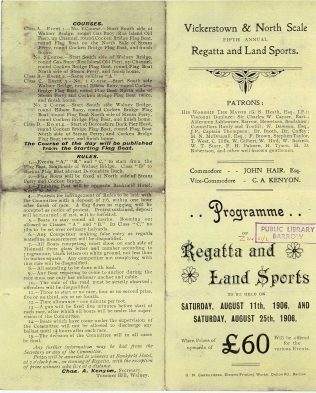 The following day several races were held and these were watched by a large number of people from Blackpool, Fleetwood, Morecambe and Whitehaven, brought by special trains put on by the Furness Railway Company. On the Sunday the yachts sailed to the Clyde, again competing for £50, this time offered by Schneider. 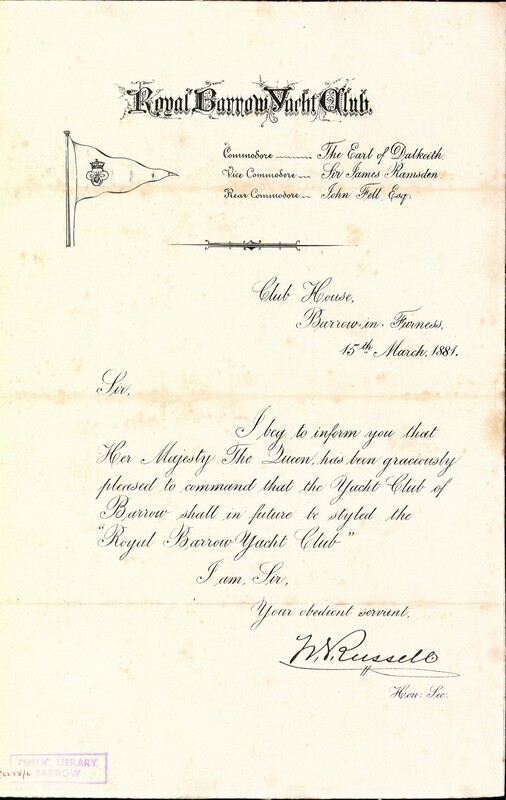 In 1875 the club had 70 yachts and 170 members. 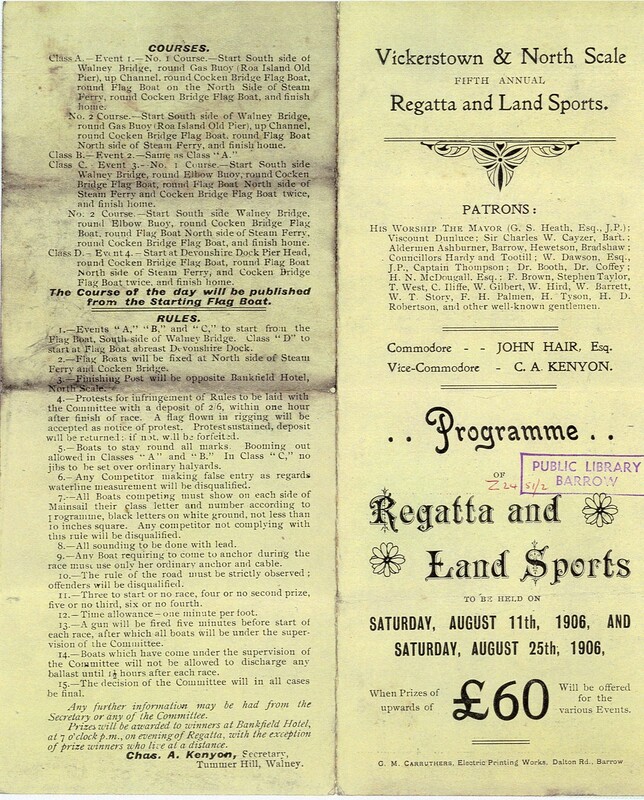 Inaugurated in 1906 with a view to encouraging amateur boat-building and boat sailing. Regattas are held from time to time on the Walney Channel and the Club at present enjoys a flourishing membership. The club house is situated on the Barrow side of the Channel.